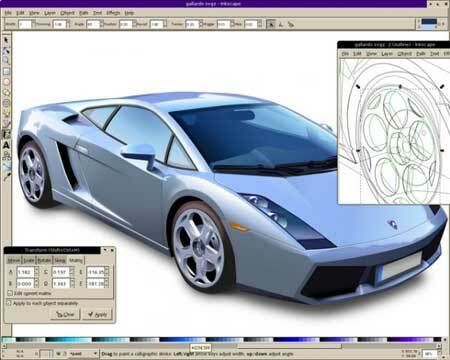 Inkscape is an FREE Open Source portable vector graphics editor that sports drawing tool features typically found in applications like Adobe Illustrator, Xara X, CorelDraw and Freehand. Some key SVG features include, shapes, paths, text, clones, blending, transforms, gradients, patterns and grouping. Inkscape can be stored and run directly from a portable USB device thanks to a portableapps (portable wrapper) and should be a part of every graphical editors collection.